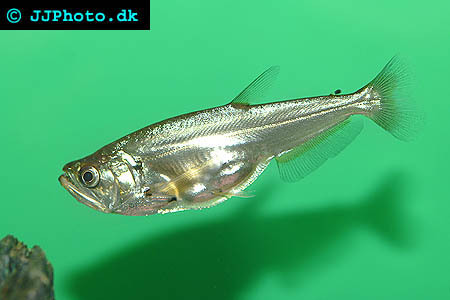 Company: Hydrolycus scomberoides (Sabretooth tetra) is a predatory that can only be kept with other equally large species. Aquarium setup: Hydrolycus scomberoides (Sabretooth tetra) requires a large aquarium with massive filtration and a strong current to thrive. As with all large predatory fish regular water changes of 30 to 40% a week are recommended. The aquarium should be decorated with a lot of free space and a few caves. 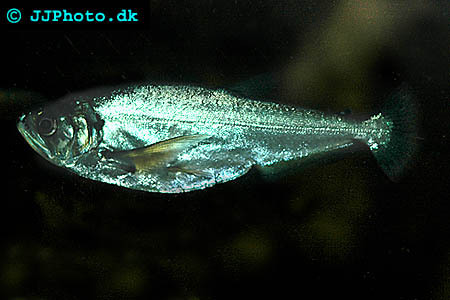 Feeding: Hydrolycus scomberoides (Sabretooth tetra) might accept frozen food but prefers live fish and will eat anything that smaller then half it size. It might eat even bigger fishes.